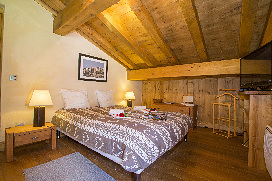 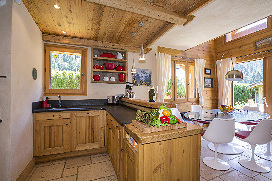 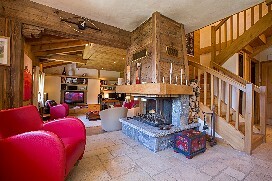 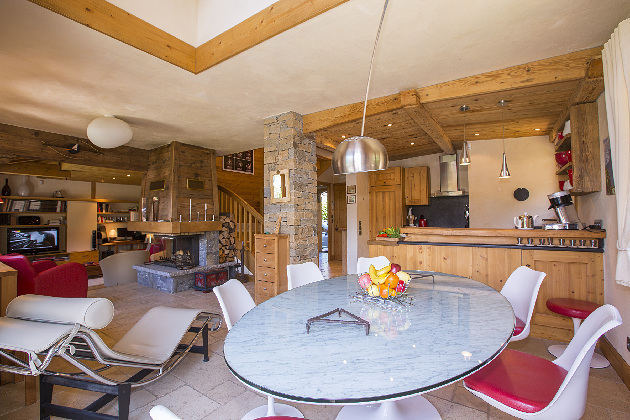 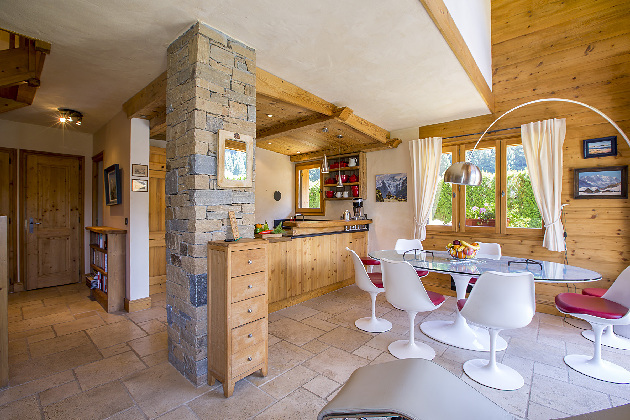 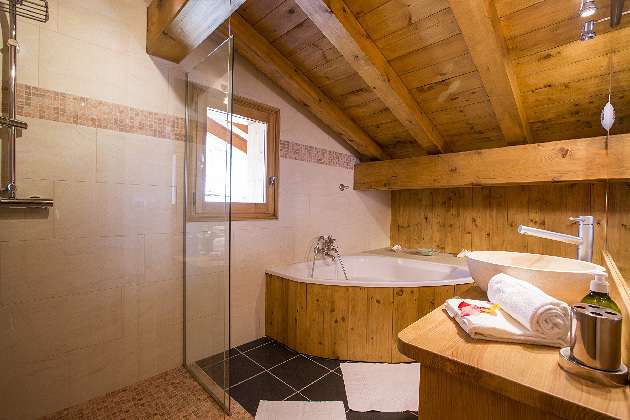 Pick the perfect family Ski break; with this beautiful chalet retreat close to Les Grands Montets! 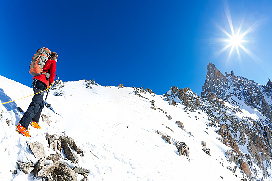 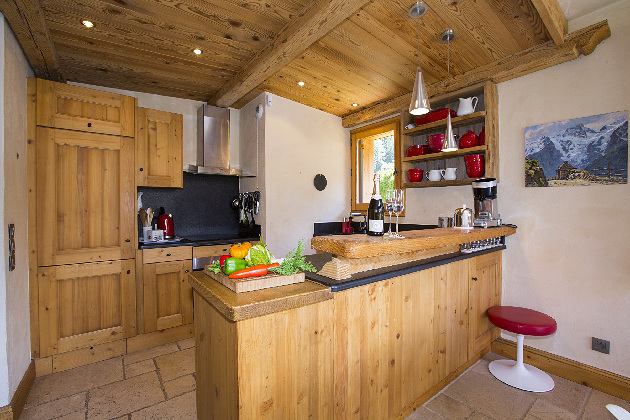 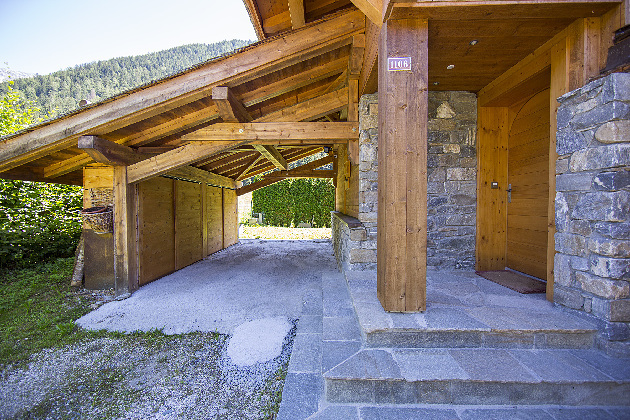 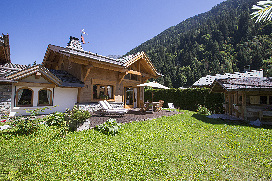 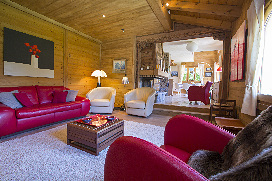 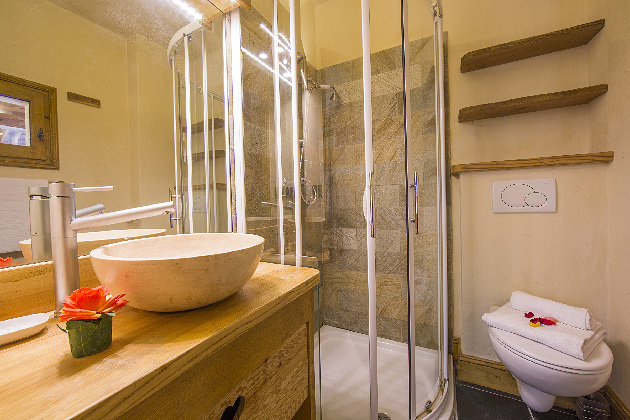 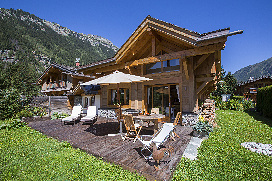 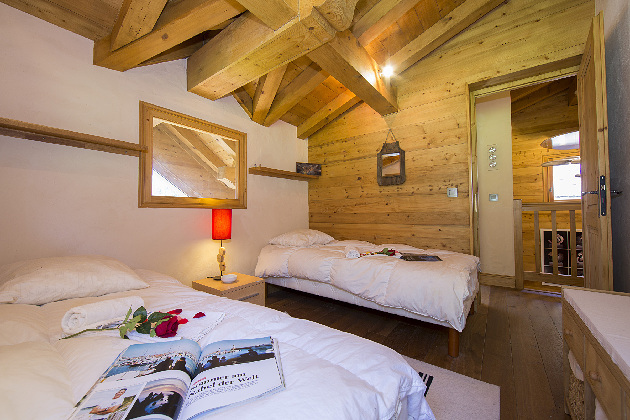 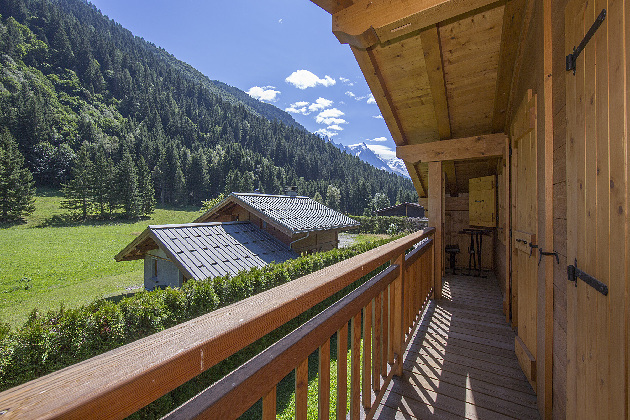 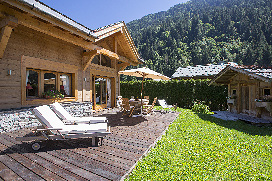 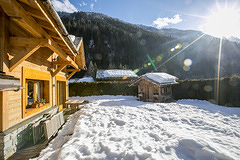 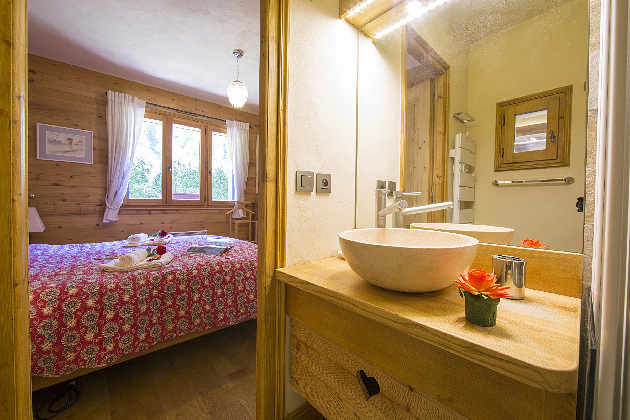 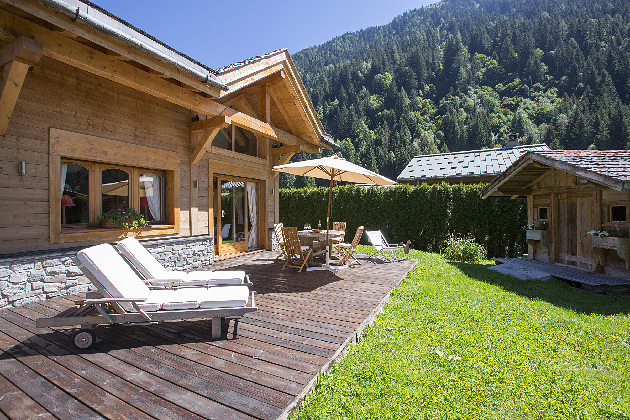 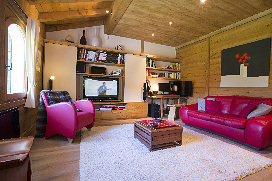 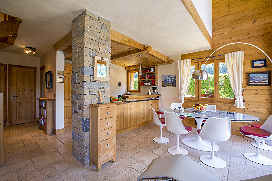 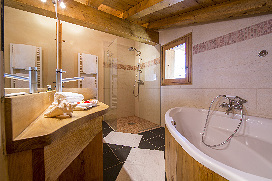 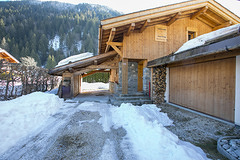 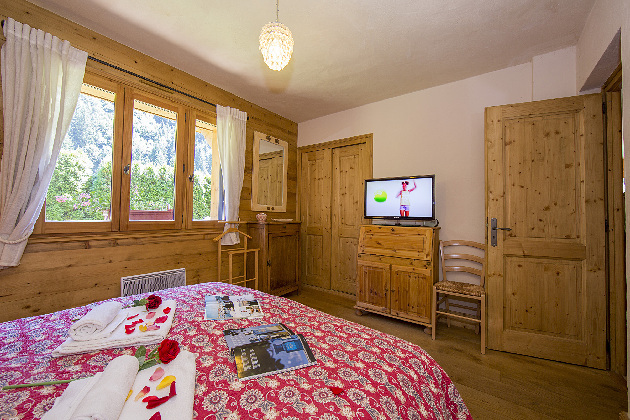 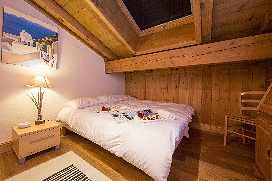 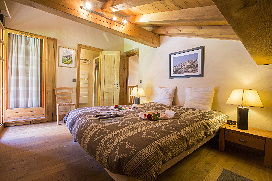 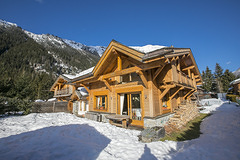 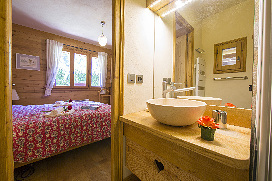 With the Grands Montets ski lift 1.7km away, the cross-country skiing nearby and central Argentière and Chamonix 4 -11 minutes’ drive away, this south-facing Ski chalet provides a lovely setting for action-packed winter breaks and year-round hiking holidays. 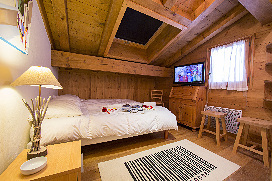 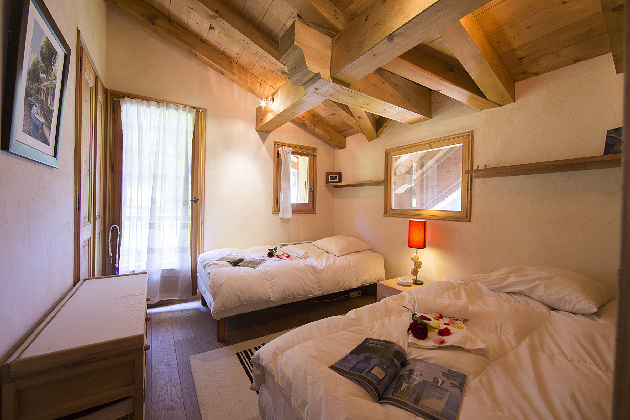 Inside, the 2-storey chalet retreat is fully-equipped for fun-filled family stays. A very generous size Living room provides a superb space in which to relax and unwind. 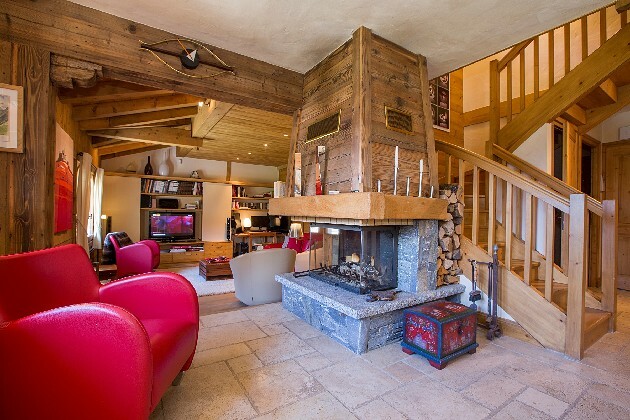 A cosy sitting area with WiFi, flat screen TV and terrace access feature alongside an ambient fireplace to the other end of the room; which in turn leads to a stylish open plan Kitchen diner. 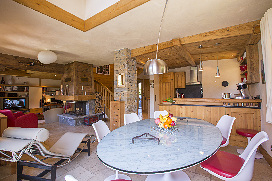 The contemporary glass-topped dining table is accompanied by an ambient arc-style light; with all the necessary appliances in the Kitchen including an oven, microwave, induction hob, coffee machine, electric kettle, toaster and fridge freezer. 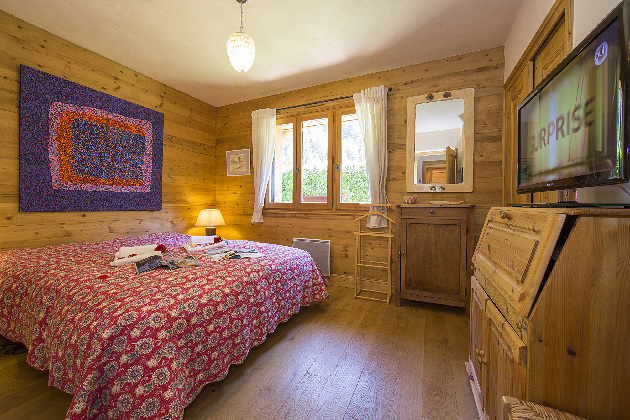 Family and friends can easily be accommodated in comfort; with 2 King size Double bedroom (1 en-suite) featuring alongside a flexible Twin joinable bedroom and a very pleasant guest bedroom with 2 Single beds. 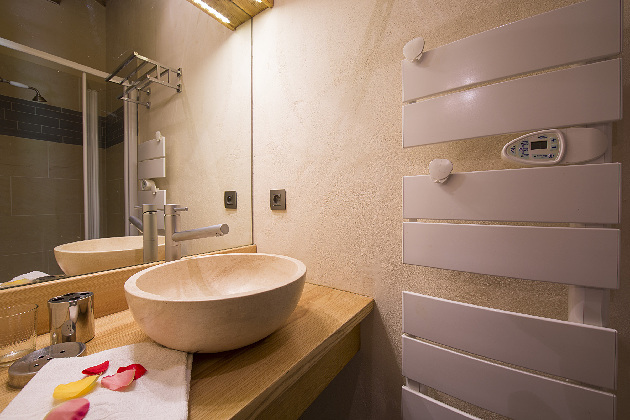 A shared family bathroom with shower and WC and a service WC complete the internal layout. 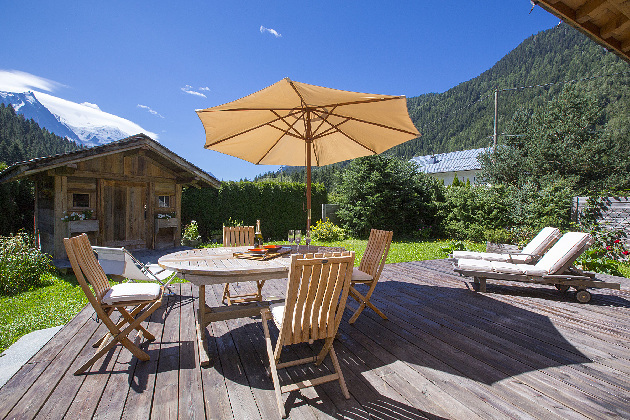 Outside, the family retreat benefits from a sunny, scenic private garden with decked dining terrace. 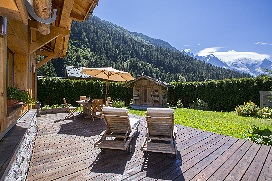 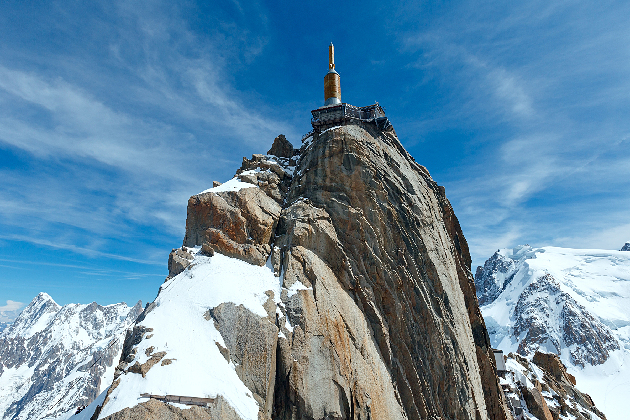 Placed only 11 minutes’ drive away from Chamonix, Argentière is one of the best-loved Alpine resorts, being situated at the foot of Les Grands Montets (a vast, varied area offering a wide range of pistes and extensive powder fields for off-piste enthusiasts). 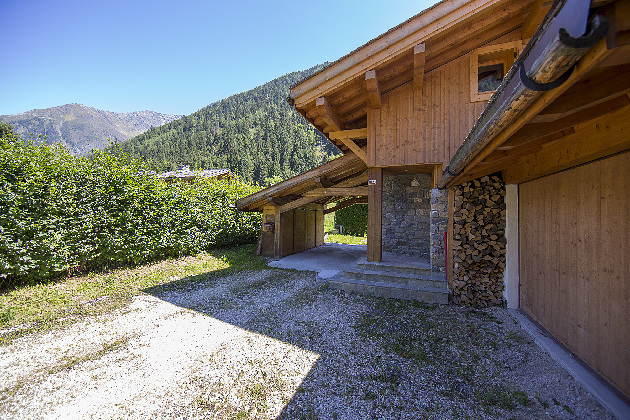 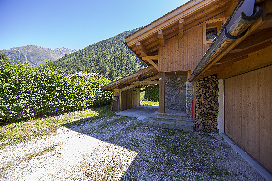 Situated along ‘Route d'Argentiere’ in the hamlet of ‘les Iles’, guests are only 1.7 km away from the Les Grands Montets ski lift and the cross-country ski routes. 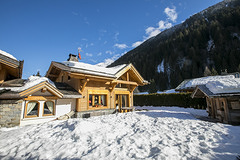 The well-serviced heart of Argentière is only 4 minutes’ drive away; meaning the French eateries, restaurants, cafes, winter sport facilities and resort amenities are never too far away! The tree-top climbing Accro Adventure Park and rock climbing crag in Lac des Gaillands are both 15 minutes’ drive away. 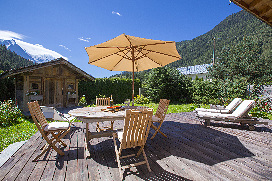 From the charming holiday location, Geneva Airport is 80 minutes’ drive away. 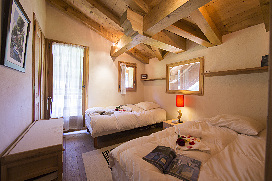 Wifi is 35 Euro per stay.